I am a member of the Women Speaker Association. 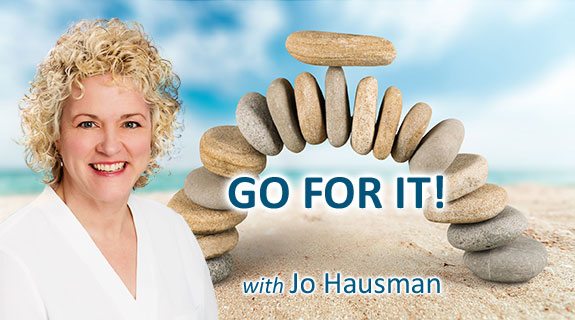 One day I noticed a post by fellow member Jo Hausman mentioning she hosted GO FOR IT on Voice of America Radio, a live call-in style show with an international audience. Episodes are also recorded so they can be listened to later. I quickly checked it out and loved the positive focus. to give and teach love, life, encouragement and perseverance. stories and I teach you to live in a positive light." Through a phone call, I learned she was also a fellow author/speaker and that her journey began with the passing of her husband. WOW! Her journey moving from such a dark space to one of shining a positive light of hope for others drew me. I can't wait for a copy of her best selling book - - to arrive. In the meantime I offer a great behind the scenes Q and A below! I am scheduled to appear LIVE on Tuesday Nov. 12 - 6 a.m. Pacific, 8 a.m. Central, 9 a.m. Eastern, 2 p.m. London (GMT). I hope you join Jo and I for what is sure to be a great conversation. To listen, click HERE. 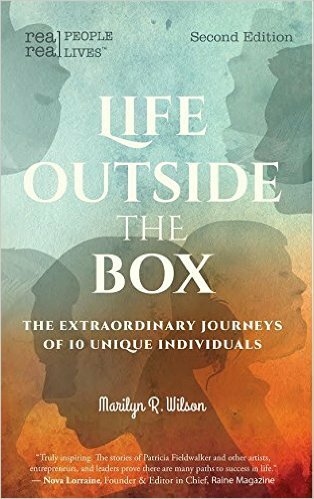 All who call in will be entered in a draw to win a personally signed copy of the just released 2nd edition of Life Outside the Box! In North America the number is 1-888-346-9141. For international listeners please call 001-480-553-5754. You can also email the host at jo@johausman.com. 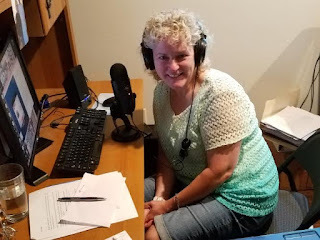 Can you share an interesting thing (or two) about your journey to become a Live Radio Host? 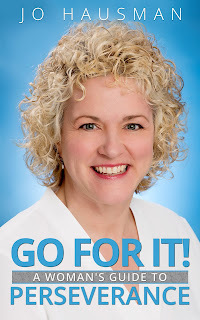 It all came about from my book "Go For It! A Woman's Guide to Perseverance." I never thought I would finish the book and once I did it became a Best Seller on Amazon which in turn led me to speaking engagements and my radio show :-) And to see how it has helped others is more than I could ever ask for. What is the concept for your show Go For It? Who is your audience? My concept is helping others get through hard times in their lives. Again from either a personal or business standpoint. I am always encouraging my guests to give a positive message of hope and empowerment to my listeners. My audience is typically women from 15-65. However men listen to and get just as much out of it. You are also a published author? Please share with readers about your journey to write this book and what it is about? My husband passed away in July 2010. I wanted to write a book to help honor his memory and the struggles he went through as well as how people can go on living and persevering after the loss of a spouse. I had started a at home virtual assistant business while he was sick and to show what a blessing that was during the events following up to and after the loss of him. My son, who is now 25, wrote the forward to the book and it was a blessing having him be part of it and getting his perspective along the way. What is easiest about your current careers? What do you find hardest (or least fun)? When my book was first published and it received International Best Seller status after only 3 weeks on Amazon. And the start of my live radio show in July 2016. I have an innate determination to make myself keep going. My son and family/friends inspire me as well. They don't quite understand it but they are always encouraging to me. I love to think outside the box and be doing things different than others around me. Always Thanking God for waking me up daily, asking for his guidance and then get going after it. My 6 word mantra: Always Hope, Always Peace, Always Love and another is that I live by....Always celebrate the small victories because they will lead to bigger victories.